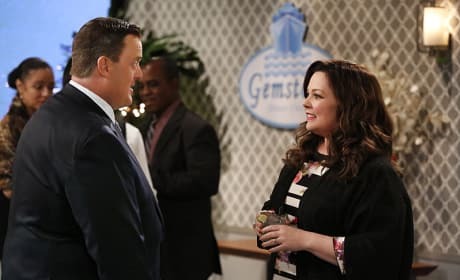 Mike and Molly enjoy their anniversary cruise on the season finale of Mike & Molly. "The Bitter Man and the Sea" is the 22nd episode of the show's fifth season. 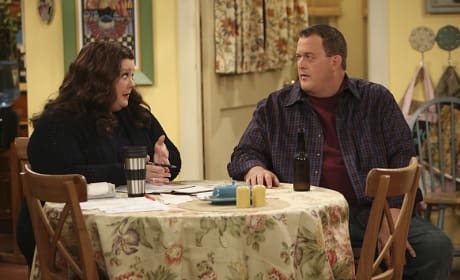 Mike and Molly end up taking a day apart on Mike & Molly. "Fight to the Finish" is the 21st episode of the show's fifth season. Mike is surprised that his Aunt Rosemary is nothing like his mother on Mike & Mother. "Mother From Another Mudlick" is the 19th episode of the show's fifth season. 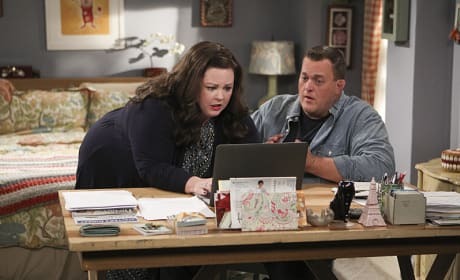 Molly becomes paranoid that no one will buy her book once it hits stores on Mike & Molly. Molly badgers Mike when he's overdue for his doctor's check up on Mik & Molly. 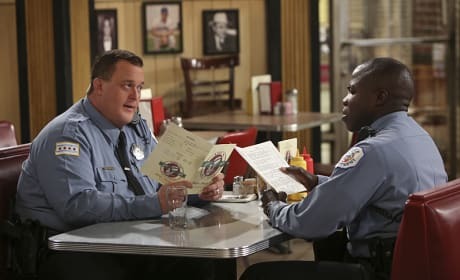 "Mike Check" is the eighth episode of the show's fifth season. 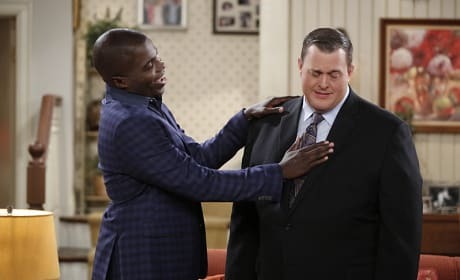 Samuel considers moving back to Africa to help his parents on Mike & Molly. "Support Your Local Samuel" is the seventh episode of the show's fifth season. 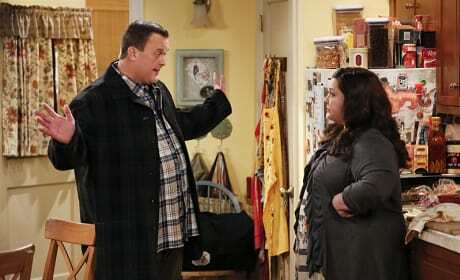 Mike feels guilty after flirtying with a new policewoman on the force and she responds on Mike & Molly. 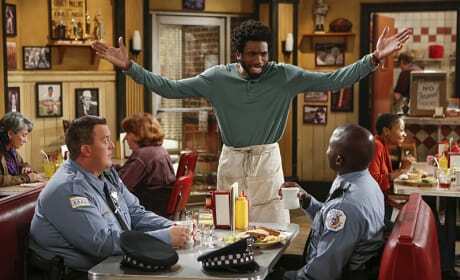 The boys are unhappy with Carl when he invites Victoria on their fishing trip on Mike & Molly. "Gone Cheatin'" is the fourth episode of the show's fifth season. 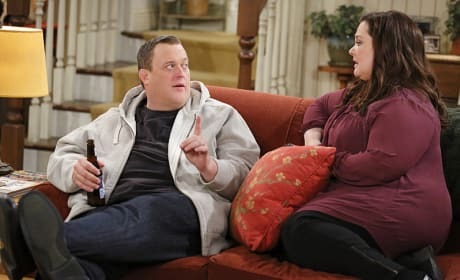 Mike is annoyed by Molly's incessant need for rewriting her story on Mike & Molly. "Molly's Neverending Story" is the fifth episode of the show's fifth season. 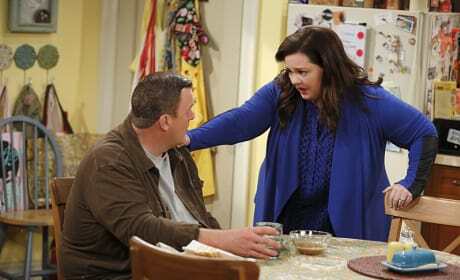 Molly is upset when her Christmas doesn't go according to plan on Mike & Molly. 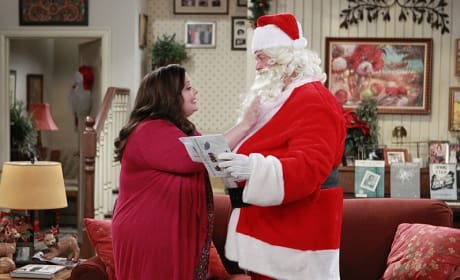 "'Tis the Season to Be Molly" is the third episode of the show's fifth season. Molly: We've got the house all to ourselves. Are you thinking what I'm thinking? Mike: Order pizza and make prank phone calls? I always go to Lethal Weapon. I'm Danny Glover and you're Mel Gibson with a thyroid problem. CBS Fall Schedule: Where Does Supergirl Land?